Hit the beach with the Ladybird dot picnic blanket from the Anorak collection. These best selling cotton picnic blankets have a waterproof back, are super lightweight and, what's more, they're even machine washable - perfect for when your picnic patch is a bit muddy. 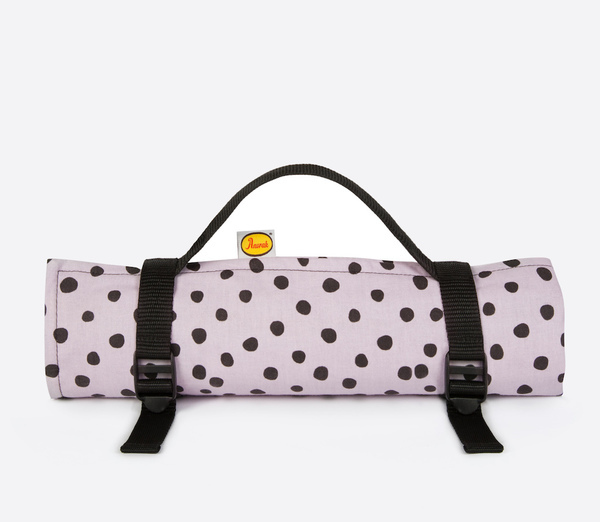 This striking blanket for picnics is printed and manufactured in Britain and features a playful ladybird dot motif on a pale lilac background. Ladybird print picnic blankets offer a convenient way to enjoy picnics since they're made from lightweight 100% cotton and roll away conveniently into adjustable carry handles.